So last week I went to Bristol to meet up with my friend and walk around the Bristol Museum and Art Gallery which neither of us had yet been in even though we have lived in the area for years now. It was fantastic and I have loads of photos but that is not really what this post is about - no this is about a book I found in the shop on our visit. I saw this book and I could not resist it! For a start I am doing a general interest talk on cave art etc... at the Gloucester Museum at the beginning of September and am doing some little bits of research trying to build some lovely maps up and this is exactly the sort of thing I want to be reading right now. And secondly when I started looking through it I realised that it was the write up of part of a group of projects that I helped out on during my work experience at the Natural History Museum London (it is actually an NHM publication) - it even has one of the people I was working with named in it! Simon Parfitt. The project the book is about is the Ancient Human Occupation of Britain Project - I believe I was actually working on a European sister project but that they tied in together - I wasn't doing anything uber exciting - I wasn't out digging trenches against the clock like in Time Team - no I was sieving cave sediment and then pulling out "organic" material. This was one of my first encounters with each group having very specific meanings for words which don't always tie in with everyone else's definitions. I was a geologist - I realised they did not mean the Chemists idea of organic i.e. everything with carbon, oxygen and hydrogen in, nor the astrophysicists idea of organic i.e. anything that is heavier than helium (I think - it was something like that anyway and linked to star evolution), so I was going for the biologists definition with a bit of geology laid on top - I was pulling anything that had once been alive or had been created by living processes. However what the archaeologists actually meant was mammal teeth, bones and poo and maybe some insects if I was lucky! This meant all the little cave corals I'd carefully extracted were a waste of everybody's time! Still once I realised what I was supposed to be doing I got on with it. My friend had initially come along with me but she had too much work etc... so for most of the time it ended up being just me. I didn't actually like this - I'd liked it initially when the two paleo-anthropologist/archaeologists and their volunteer where there but most of the time it was just me and it was a faff to get in and there were often weird skulls plonked down on the workbench were I worked. I couldn't go and get coffee in the paleo department because my back was bad meaning I was having issues with my hands if I over taxed them - the door to the coffee/tea room was a big old heavy thing so there was no tea for me because I couldn't push the door open! But I did like it when Simon gave me papers to read on the various types of animals I was finding - I remember thinking I'd found a hamster tooth - it was a little rodent - most of it was mice and bats teeth - what's living in the cave when tells you when it was and was not occupied by humans. And I liked it when the lady was in the office as she would get my coffee and tell me about how what she did for her work experience and the projects she was working on. Sometimes I would get mistaken for a guy who worked in the department who had long hair - we both tended to have a thick plait and wear the same hippy/metal type t-shirts. I was quiet shy so it was always a shock to have some bloke slap you on the shoulder and then go into hyper babble as they realised I wasn't the person they thought I was! I was also working in Meteoritics in Mineralogy - they gave me my own pass and it became easier to go in and work on rocks from space. And there were people in the lab... and I ended up with my own project. Even so I think Paleo would have kept me if the lab move hadn't happened. In fact the museum could have had a lot more of us students and for longer but there was a miss communication. In our first year we had brazenly gone to the museum in a group of about give I think, and asked about work experience and voluntary positions. We were told that they kept those positions for final year students only, so we went away and awaited our final year. When we told the researches in both Mineralogy and palaeontology this tale they were horrified as that is not the case at all! And we had Wednesday afternoons off at uni for things such as sports or work experience. I was in lab (Anthropology 2 I think) when it was time for computer upgrade - the nhm is a large and sprawling thing and so though mineralogy had shiny computers in the early 00's - paleo did not and it was time for ethernet (everyone else was moving to wifi!). The guy came to install, the guy found the lab was lined with asbestos - I was sitting there at the time! - I don't know if that is the reason for the move but I know I wasn't happy with the situation as my granddad had died in 2000 of asbestosis (or rather the cancer caused by it!). Anyway all the stuff was moved and I was shown were it was but... I'm not good at remembering such things and they both went off on their digs and no one else knew where the samples were that I was supposed to be working on and... they'd finally given me a pass and all I could do with it was wonder aimlessly looking for the samples - so I left a message explaining and went and got on with stuff I could do in mineralogy and rocks from space. It's interesting because now I can see that it was me not knowing how things worked and being shy. I still love Quaternary Science and all things to do with human and civilisation origins, I also still love the Pre-Cambrian and the questions surrounding the origins of life... and of course Space - I love stars and stuff and to me these things hold the same fascination - academically they are very different areas especially at post grad level. When I was considering doing a PhD this was one of my issues - which area to choose? It was why I picked the MRes in research techniques in Earth Sciences - it taught the stuff used in all the areas so I was pretty much still looking for some breathing space before having to choose and I also felt I needed to bone up on the old maths and physics - without A'levels in them I had struggled through my degree and I felt I needed them to do proper science. I've been told that I am intuitive at maths by multiple people, I just don't have the basics or language in place to use it. Of course that pathway did not work out for me and I ended up being the Geologist Running Scared. But I think that you can't stop being something you are - you might not be able to apply it and you may study something you aren't but I am and always have been a geologist. And I think... I might not be the only one in this family anymore. I get excited about rocks, the girls now know my fern tree tale off by heart - I still tell them about giant cats/marestails every time I see the little plants. Mary also collects rocks, lots and lots of rocks and I have to stop her from pillaging other people driveways. Also bits of pot - to be fair her sister started this craze. At Blists Hill last week I had both of them geologing in different ways - Jean asking questions about the underlaying rock structures and formation processes and Mary steadily filling a bag that was getting heavier and heavier and watching metal pouring and general how to make things and getting excited about old mine workings. Mary is a little confused about word definitions - she wants to be a hair dresser because they do art stuff and she already is an engineer, she says, but she also says she wants to be an artists because they find out how things are made and how they work - like Mummy is an artist and that includes science stuff because she has no concept of them being different things. She has collected stones and sticks and feathers since she could grab things. She loved the rocks in South Africa and Wales and will always find something to bring home. This is very like I was - I had bags and bags of finds and it only solidified into an idea of something when I saw the giant dinosaur in the entrance hall of the Natural History Museum (I wanted to show it too her but will have to await the bronze replacement skeleton that is going in the gardens - I just don't think she will engage with the whale skeleton that now hands in the NHM's main entrance hall in the same way). This summer we have also been to the dino exhibition at the Gloucester museum as well were we had to forcefully extract the girls! And of course we went to Jodrell Bank where she was awed by space and planets and rocks from space. Her enthusiasm has awoken me to the wonders I love once more - I had shied away feeling a keen pain when I thought about geology and the academic world I was no longer a part of. 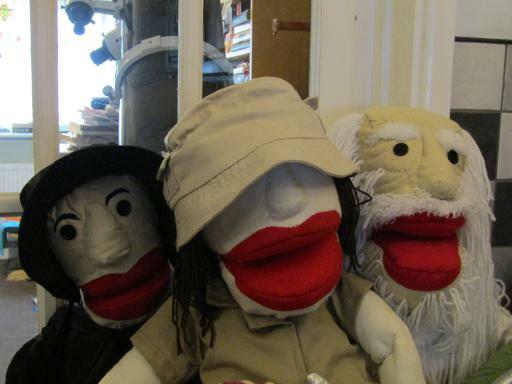 I'd focused Cuddly Science on science and engineering in general and then last year we went on holiday with my brother down in Cornwall including looking at old mines and seeing the rocks along the beach and the kids all showed interest and I thought about how I needed my paleo posse puppets and set about designing things. The trip to South Africa showed me that I could still read landscapes and that setting me loose on a mountain was going to result in everyone panicking when I lost track of time and didn't make the rendezvous. This year I have thus ended up running archaeology and palaeontology workshops and drawing colouring sheets and looking at rocks and buying books on rocks. I count everything as rocks and rocks are everything from our origins to our futures to the stars and the seas. If they are not rock currently they are part of rock forming processes.... and so on. And the book from the museum: Britain - one million years of the human story. Both times Mary announced "BORING!" at the books (her general reaction to books (unlike her sister)) and both times I have found her either reading them/looking at the pictures or found sticky finger prints just the right size for a precocious little 6 yr old! 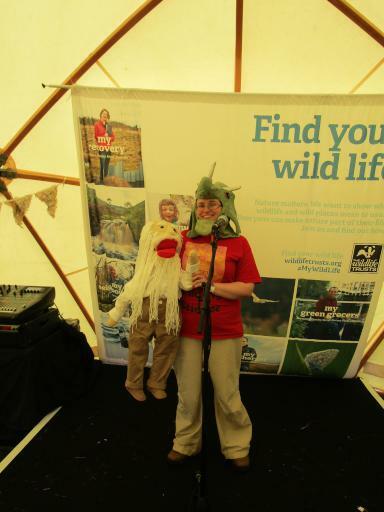 The Cuddly Science Paleo Posse were really excited to be at Country File Live with the Gloucestershire Geology Trust. 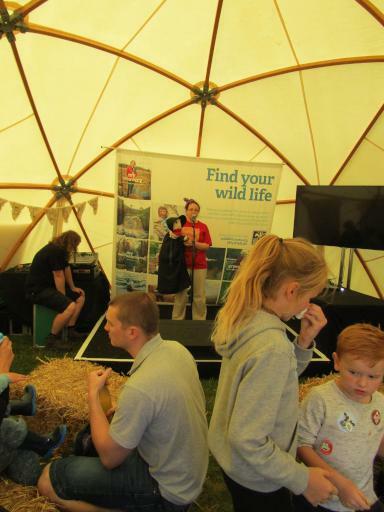 They got to perform on the Garden Stage of the Wildlife Zone and do a bit of walk about. 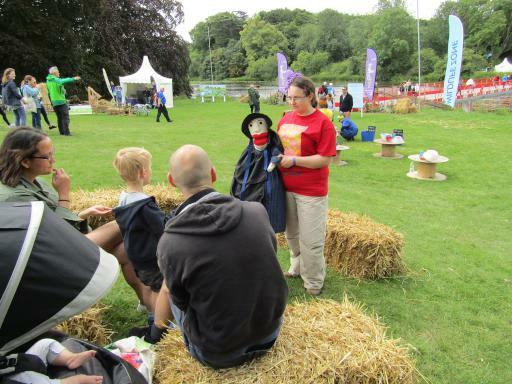 Walking around with the puppets doing little improve sets to let people know about the actual shows was fantastic - I really love this aspect of it. 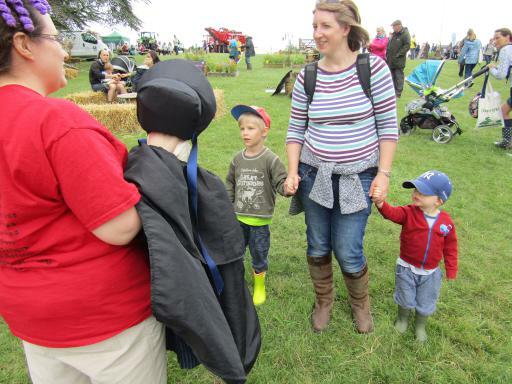 Children really do love the puppets - far more than I thought they would when I was designing the general concept! They get cuddled rather a lot. Coraline button eyes and all! Adults often end up in conversations with them as well! 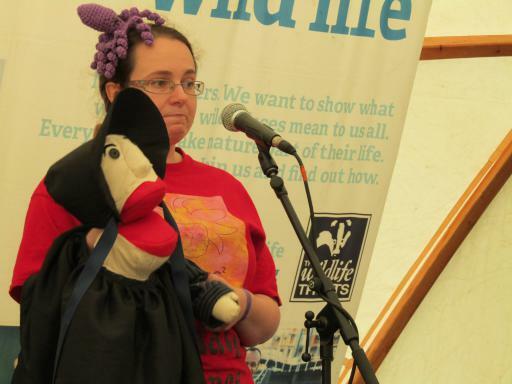 Mary Anning the puppet did seem to spend a lot of her time searching for her pet squid which the children helped her find - she then explained about cephalopod, belemnites and fossilised ink sacs and how looking at creatures alive today you tell a lot about extinct animals and vice versa. 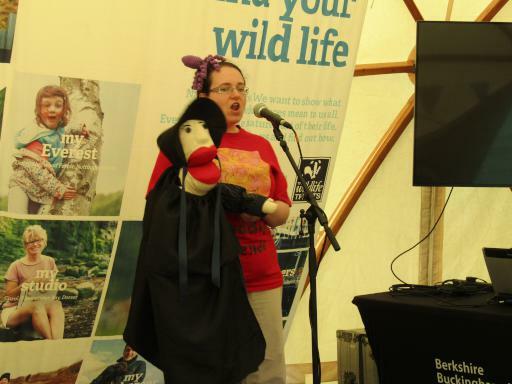 Mary Anning comes from Dorset so... apparently my accent was "not too bad, a little caricature but better than Poldark" - I'm happy with that 🙂 Though I will say whilst telling kids about the fossils in the Geo Trusts' tent I struggled with some of the dino names! 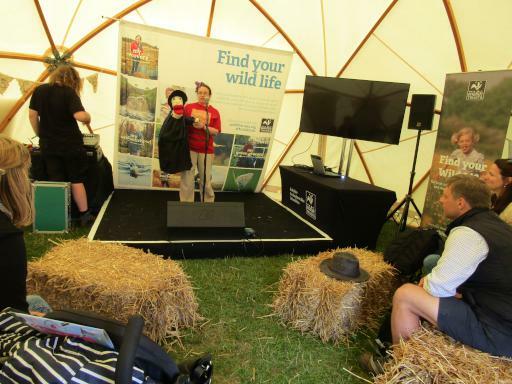 Kids actually came back for successive shows - this is what I found with the British Science Festival too, which is why I don't like just repeating material and try and swirl it all around a bit even if it is the same characters! 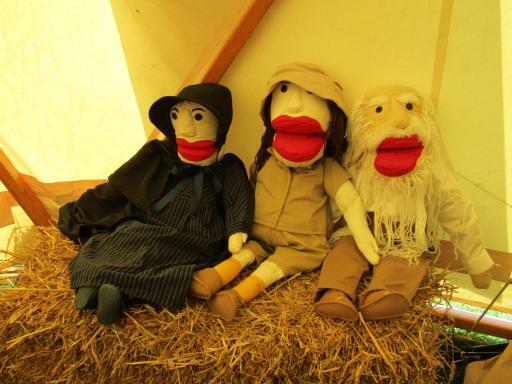 I am very pleased with how Mary Anning has turned out and she is such an easy character to play/envelope and as was said by a fellow story teller at Stroud Out Loud the week before - she's a story telling gift - such a colourful life right from infancy! She is also a good contrast to the other two characters who hated school as she loved it and worked really hard - this ticks my want boxes of role models/relatable things for as many kids as possible. 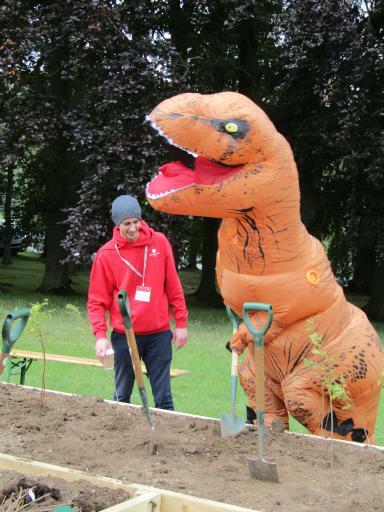 The Glos GeoTrust also sent a T-rex out with me to help let people know about the show - which was amazing and lit. got all the kids running over! 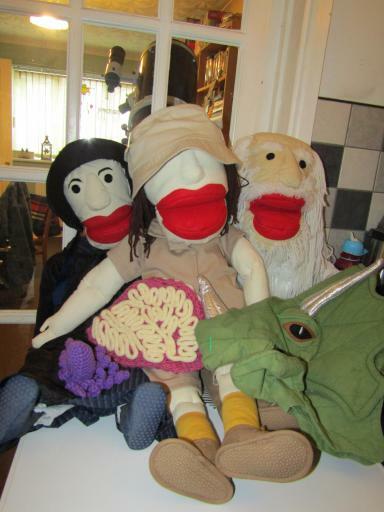 Of course the other puppets did also get on stage - though I failed to get a pic of Mary Leakey and the brain hat which is a shame. 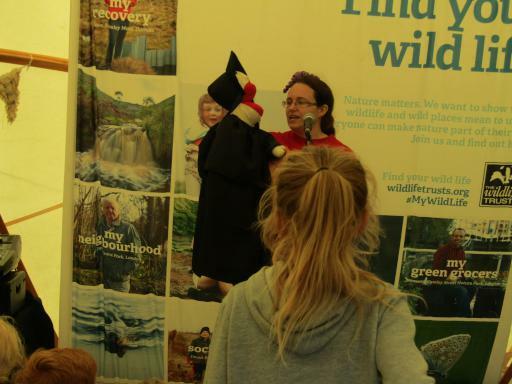 Darwin was very popular indeed and had to be rescued and placed back in his cryogenic chamber due to the kids wanting to play (I may need to re attach some hair!). 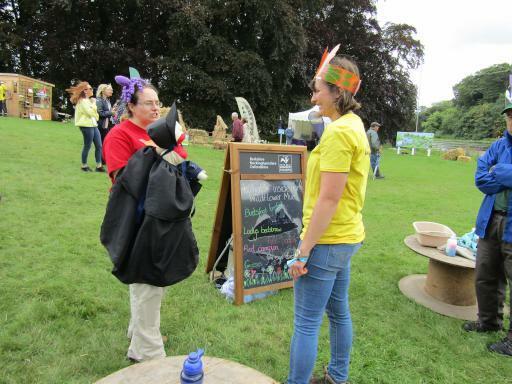 Inbetween rests and performances I also helped out at the GeoTrusts tent - this contained both the Gloucester and Oxfordshire Geological Trusts and contained so much fun stuff! 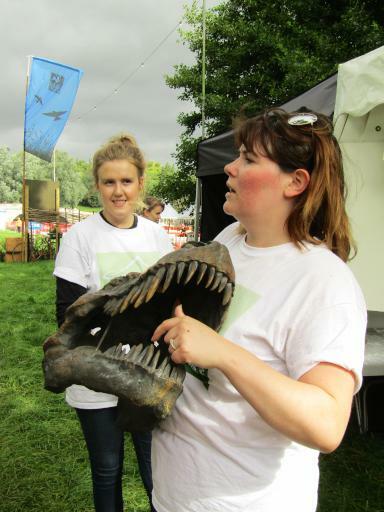 Geo-Entertainments: when dealing with the public and geology - especially where kids are involved you tend to end up pulling out the dinosaurs. I know myself that the big things for me as a kid were finding my own bits of nature... sticks, feathers, shells, stones and fossils followed by the absolute WOW!!!! moment of the five year old me walking into the Natural History Museum London and seeing Dippy standing there. This was a huge dino skeleton reconstruction and dominated the great hall as you wandered in. I just remember the awe and the silence that enveloped me when what it was was explained. This began my dino madness which was fuelled further by films such as the Land Before Time and Jurassic Park. 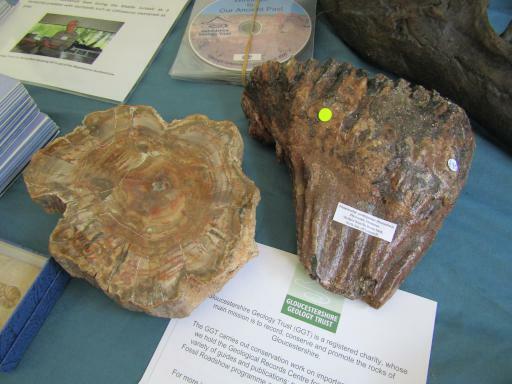 The Gloucester Geology Trust knowing their local geology and what engages people have a lot of dino stuff on hand! 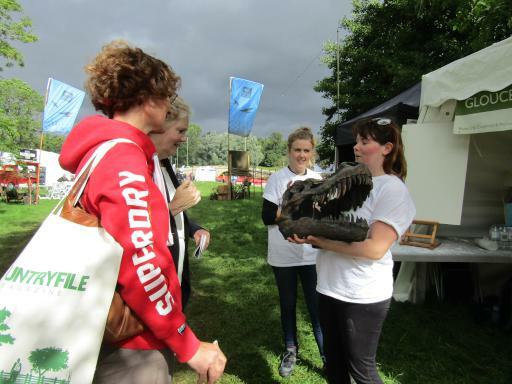 These photos are Dr Alice Kennedy showing people the T-rex reconstruction skull, it is one quarter the size of an actual t-rex skull because you know it has to actually fit in a car to be taken to shows, schools and events! (p.s. yes you can get your local Geo Trust to come into your school for talks and workshops, some even have funding to help with this!). 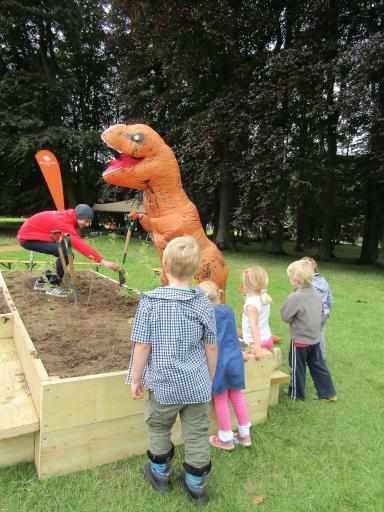 And of course there was the dino-dig! Excavation digs ie sandpits do seem to be really popular with kids (as the Archaeology Festival proved for Cuddly Science). 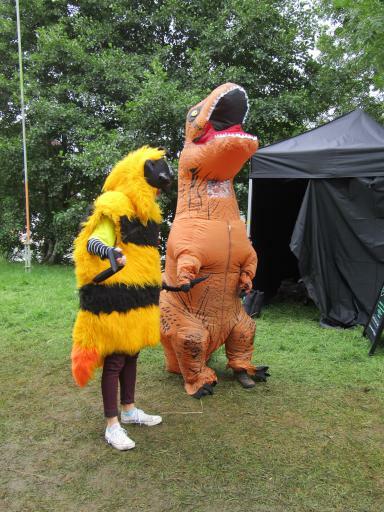 And who could forget the inflatable dinosaur! 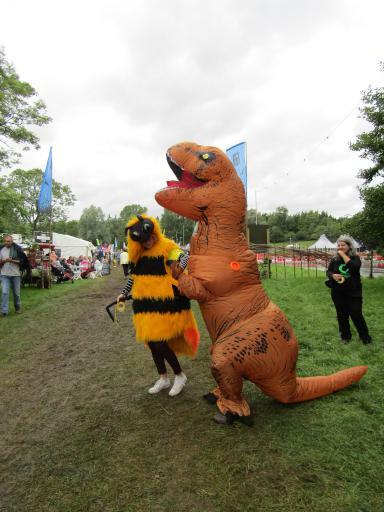 Yes it went for a walk with a bee! 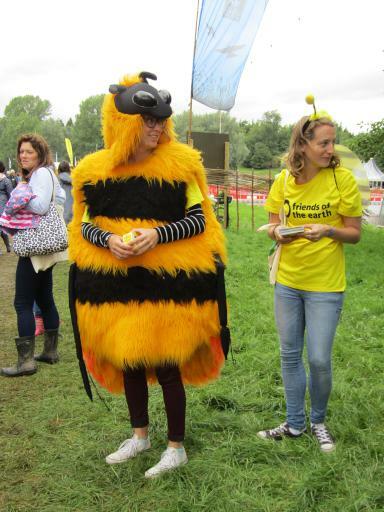 I believe it was an Oxford Friends of the Earth bee but I would not swear to it. There was a swarm of the things! The Geo-Trusts had an amazing array of rocks, fossils, maps and reconstructions with them, including a hadrosaur head banging bit and the Buckland Megalosaurus jaw (yes I know more dinos but shhh). 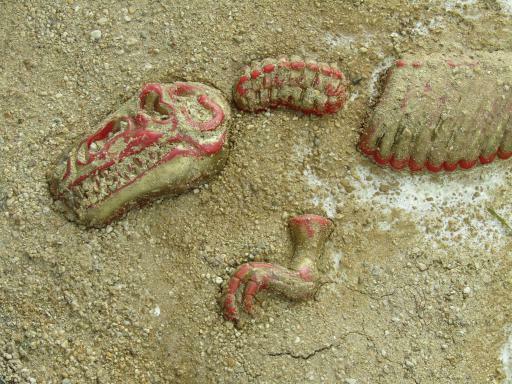 There was a mix of fossils and reconstructions, not to mention a map or two. 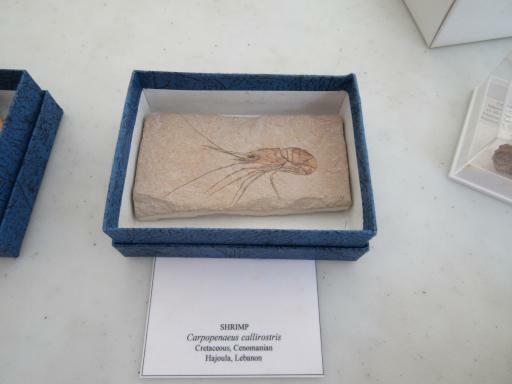 Fossil shrimp! Just look at the preservation on this little fellow! 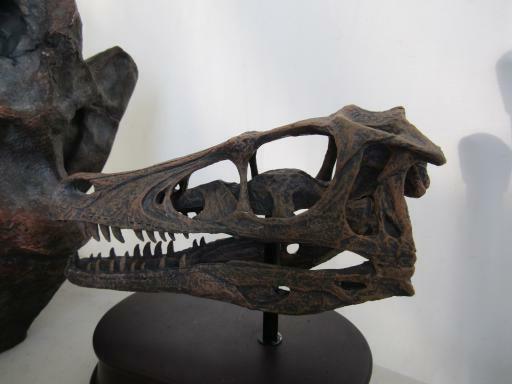 I loved this cute velociraptor skull which got me into many an argument with kids who've seen the Jurassic Park Franchise films but have yet to delve deeper into the mists of deep time and dino-lore! Dino-Roar! 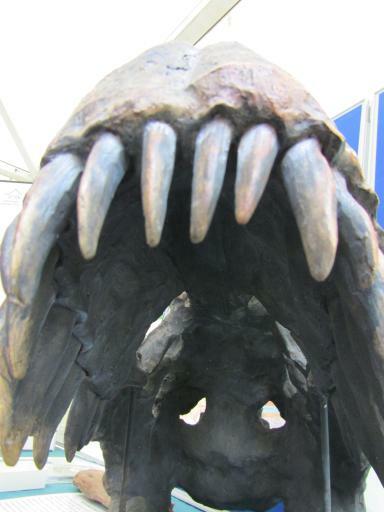 This is a view into the T-rex reconstruction skull - it is angled slightly upwards so you can really see the shape of the teeth. The Natural History Museum used to have little workshops on working out what you could tell about an animal from the skull/teeth/eye sockets ie diet, predation and social structure so I may have wibbled about this to the kids a lot. 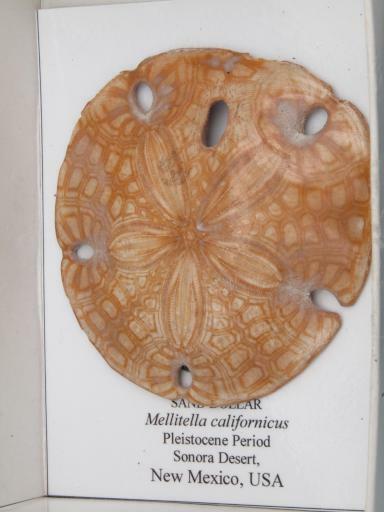 Shiny sand dollar! Look at that five fold symmetry! 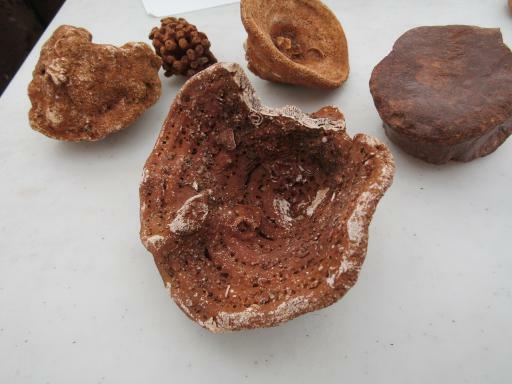 Glos Geo Trust also had fossil making with plaster of paris with moulds from actual fossils, and a badge maker. 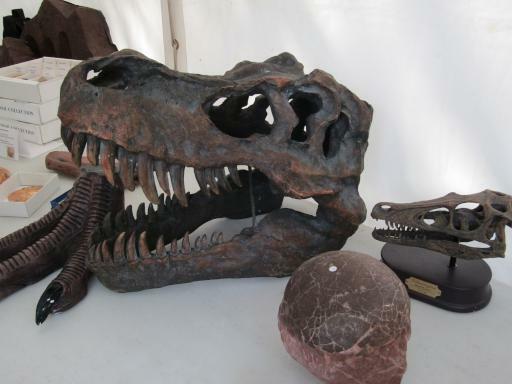 And the Ox Geo Trust has 3D dino skull masks and little dino puppets which I sadly failed to get any photos of because to be quiet frank it was really quiet busy! The last two weeks have been amazing, wonderful and awful at the same time - as always with our bad luck field. So yesterday Al was already in pain when he took the kids to Country File Live, they all enjoyed themselves but he was tanked up on pain killers to survive the day - what ever he did it was going to be a tanked up on pain killers day. By the time he got home he was in considerable pain and we did all the normal - hot baths and massage and his physio - but over the last year his hip has been getting alot worse again including him having to miss Krav and park runs because he can barely walk. This morning I had to put his socks on for him - this is not the sciatica - this is his hip (which may or may not be part of the cause for the sciatica). He's been a bit depressed about this - the amount of pain he is in is well... loads. But more than that it means going back to the Dr to talk about hip replacements - something he has desperately been trying to ward off. Just after Mary was born he was in lots of pain and the Dr told him that his options where to pay for physical manipulation to try and slow the wear on the joint down or he would def. be having the hip replacement before he was 40. Obvs. hip replacements are not something you really want to be getting into before you are 40 so we paid knowing it might not work or would only work for a while but hopefully would get him to past his 40th birthday. The treatment was no longer avalible on the NHS though the hip replacement would be. It worked really well for a few years and made a huge difference. Initially after Mary was born we both had mobility issues which were fortunately slightly different but we would have to co-operate to change the babies bottom! It was a bit of a nightmare time capped off with him and the baby getting pnumonia and a house move. All that aside we had been hopeful - the manipulation did wonders and for the first time that he could remember - standing still did not hurt him! Basically up until that point his leg had been rammed up into the hip joint, compressing and wearing it out. This was left over from some child hood accident - we don't know what but the Dr was surprised he did not remember it as it was have been painful. It was possibly falling down the stairs or something. He tends not to say when things are wrong with him but he is actually really struggling at the moment - so please be nice! No one likes it when someone else has to put their socks on for them! So we have Mary Anning known as the Princess of Palaeontology who was a poor girl from Dorset who made her name collecting and studying fossils - she's the one in the bonnet and has a squid head piece accompanying her as she discovered fossilised ink sacks and would study modern creatures to see how they compared to the fossil creatures she was finding! Then there is Charles Darwin who came up with the theory of evolution, he had many adventures on the high seas and was massively influenced by the new geological finds that were coming from people like Mary Anning and the Bone Wars! Where there were fights over the fossils bones of dinosaurs and were to find them! He has a reconstruction of a dino head with him. Lastly but not least is the archaeologists, physical anthropologists and paleo-anthropologist Mary Leakey who worked on everything from Roman ruins to iron age sites to neolithic caves complete with stunning cave paintings to finding the remains of what appear to be the ancestors of humans paving the way for more insight into how our brains evolved. There is a brain hat to help her explain! 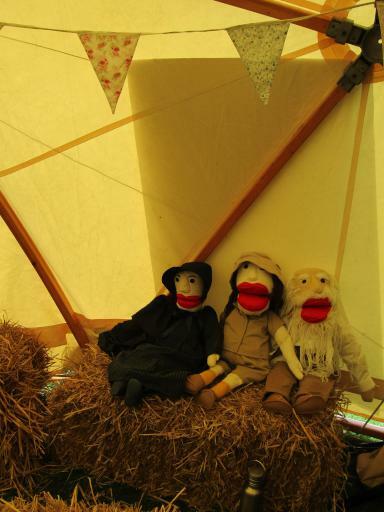 The paleo posse are preparing for their first outing as a team to Country File Live (2017).